One of the things I continually stress with my students is that science doesn’t have to make sense. In fact, most of the theories in my scientific field make no sense at all. Why do I believe them? Because they make predictions which are later verified by the data. That’s the acid test of a scientific theory. If it can make predictions about something that is not known and those predictions can then be tested by experiment or observation, the theory is scientific. If observations or experiments actually confirm the predictions, then it is a reliable scientific theory. For example, young-earth creationism is a reliable scientific theory, because it makes predictions which are later confirmed by the data. The same can be said of Einstein’s theory of general relativity. Make no mistake: It’s a very strange theory. It says that what we see as the force of gravity is not really a force at all. It is a consequence of how mass warps space and time. Now that’s just crazy. We know that we stay on the surface of the earth because the force of gravity continues to pull us to the center of the earth. An apple falls from a tree because the force of gravity pulls it to the earth. The earth stays in orbit around the sun because the force of gravity keeps it there. Sir Isaac Newton himself gave us an equation for gravity, and that equation has been tested over and over again and found to be reliable. It begins “F =”. The “F,” of course, stands for force. Why,then, would you believe something as silly as what Einstein said? Because his theory made several testable predictions, and when those predictions were tested, they were confirmed. One of the stranger predictions of general relativity is that mass warps space and time enough that it actually affects the passage of time. When you are near a large mass, time passes more slowly than when you are far from that same mass. According to Einstein, then, time is not constant in the universe. It ticks at different rates, depending on the mass in the area. Once again, to you and me, that’s just crazy. However, it has been confirmed in many different experiments. Indeed, the Global Positioning System would not work if we didn’t take into account that time is ticking differently on the GPS satellites than it is on the surface of the earth. Of course, one hallmark of good science is to continually test your theories, even when they have been confirmed. My publisher told me about a recent example of this being done, and it is worth discussing. Back in 2014, the European Space Agency launched several satellites into orbit around the earth. Satellites are generally put in a circular orbit, so their distance from the earth never changes. However, a malfunction in the rocket used to place two of the satellites caused them to be put into an elliptical orbit. As a result, their distance from the earth regularly varied. The ESA corrected the orbits as much as they could, but they remain elliptical to this day. The difference between their closest and farthest distances from the earth is about 8,500 kilometers. While this was a disappointing mistake, two physics research teams realized that they could use it to further test Einstein’s prediction of time being affected by how close you are to a massive object. After all, at regular intervals, these satellites moved closer to and farther from earth. Their position could be accurately measured in real time, using the International Laser Ranging Service, which shoots lasers at the satellites and measures the time it takes for the light to reflect off them and return. The teams independently examined the time measured by the clocks aboard the satellites, and they each produced a graph similar to the one at the top of this post. Both of them showed that the time measured by the clocks aboard the satellites varied just as Einstein had predicted: As the satellites drifted away from the earth, time started passing more quickly for them. As the satellites drifted towards the earth, time passed more slowly for them. What makes their results noteworthy is that this test is more precise than any other that has ever been done. Their results tell us that the maximum error in Einstein’s prediction is about 0.003%. Like it or not, the general theory of relativity is the best description scientists have for gravity, as these misplaced satellites have further confirmed. How does homeschooling compare to conventional schooling? I have read lots of different opinions written by educators, parents, and politicians. However, I haven’t read a lot from students. This is somewhat understandable, since many homeschooled students never experience a conventional school, and the vast majority of conventionally-schooled students never experience a home school. However, I recently read a paper published in the journal Cogent Education that summarized the views of 40 Australian students who had experienced both forms of education. Their views were quite enlightening. Many of them valued the flexibility that home education gave them. They could choose to focus more on the areas that interested them. This was especially true if their parents took a less-structured approach to their curriculum. They also valued the freedom that comes with homeschooling. They could choose the times they studied, played, slept, etc. This was especially helpful when they were doing long-term projects. In contrast, they found the conventional school they attended to be limiting because of time tables, commutes, and the necessary fact that the classes were geared to teach students of average ability. This wasn’t true of all the students, however. Some found the structure and regulation of a conventional school to be a nice change of pace. The most common cultural feature of home education has been family recognition that each child is unique and programmes require individual tailoring. In conventional schools there was written and verbal recognition that each child was unique and needed personalised learning programmes, however, delivering this type of approach was restricted by the structures of conventional schools. This is something I have always stressed in my talks with homeschoolers. One very important benefit that homeschooling gives you is the ability to tailor your child’s education to meet his or her specific needs. Many people think that homeschooling is unique to the United States. However, nothing could be further from the truth! Homeschooling is a worldwide phenomenon. 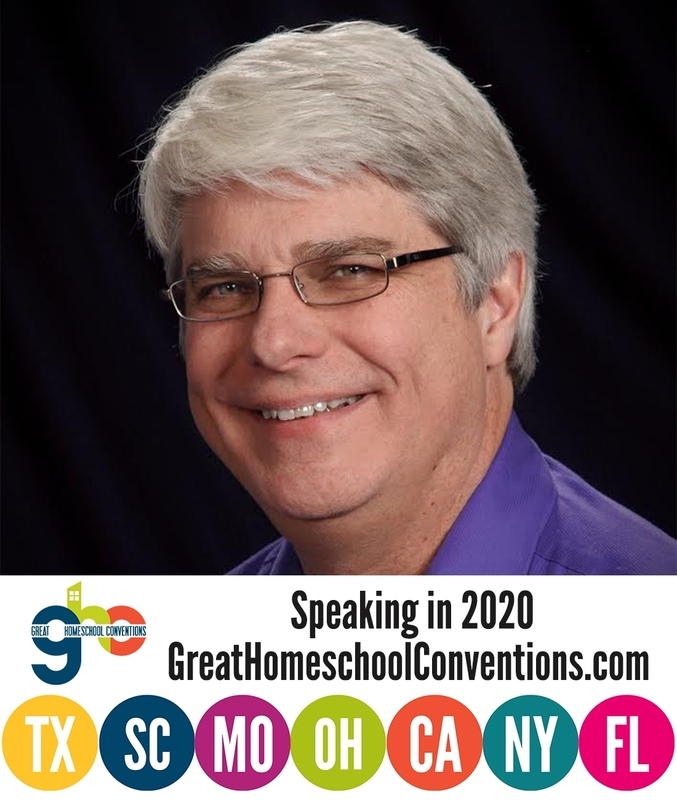 For example, I have spoken at homeschooling conventions in Canada, South Africa, Australia, New Zealand, South Korea, and Thailand. In addition, I have spoken to homeschoolers in one country that I can’t mention because it is illegal to homeschool there. In my interactions with homeschooling families all over the world, I have seen lots of differences. In South Korea, for example, many families homeschool because they think the school system is far too demanding. In high school, for example, South Koreans use the “five hour rule,” which states that if a high school student gets even five hours of sleep a night, he or she will not be able to go to college. On the other hand, many homeschoolers in the United States (myself included) choose to homeschool because the schools are not demanding enough of their students. Despite the differences among homeschoolers worldwide, there are many similarities. One example of this comes from a country that I have not yet visited: Israel. 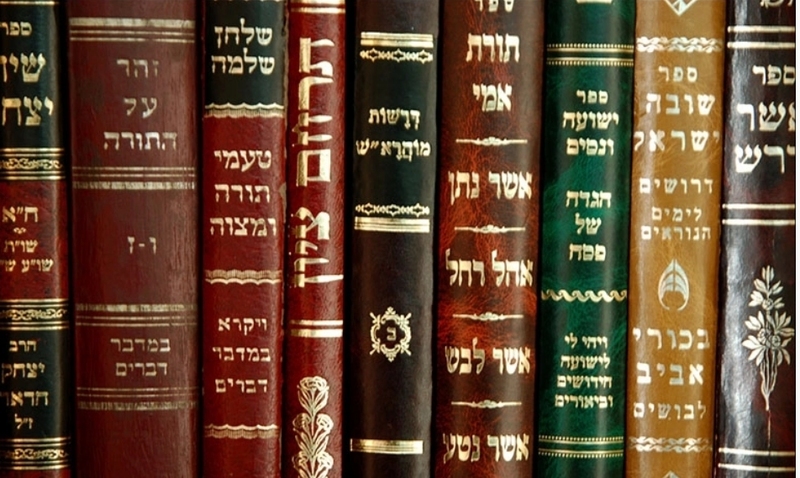 Two senior lecturers from Western Galilee College in Akko, Israel recently published a small study in which they interviewed 30 Israeli homeschooling mothers to find out why they homeschool and what benefits they have seen as a result of homeschooling. While reading the paper, I was struck by the similarities between homeschooling in Israel and homeschooling here in the U.S.
For example, the mothers generally thought that homeschooling made their children more inquisitive. I find that is true of homeschooled students in the U.S. as well. I teach at a university where there are some homeschool graduates (and some who are still being homeschooled) as well as a lot of public and private school graduates. I find that the homeschool graduates are significantly more likely to participate in class, and they are even more likely to ask me questions that go well beyond the requirements of the course. The homeschoolers are simply more inquisitive than their peers. The mothers in the study also thought that their children had more self-confidence and weren’t afraid of being labelled as “different.” This is something I see with homeschooled students all over the world. Regardless of the culture they are in, homeschooled students are more likely to challenge the “norms” of the culture and do what they think is right, regardless of what their peers think. In my opinion, that is one of the major benefits of homeschooling. In this era where people actively seek to punish and even harm you if you rebel against the groupthink that has infected the culture, it is more important than ever to produce young people who are willing to be different. By far the most important benefit that these mothers identified was that their children were not poisoned with age prejudice. This is also true of homeschoolers throughout the world. Group schooling (government or private) promotes the idea that students should only make friends with people who are roughly their own age. After all, children spend most of their school day cloistered away in ghettos, surrounded by children who are roughly their own age. As a result, they don’t get much experience interacting with people of other ages. Homeschooling is generally quite different. While homeschooled children will spend some time with friends their own age, they tend to spend most of their time with family members, which span the age spectrum. In addition, when homeschooling groups get together, all ages are generally included. This produces a very healthy environment for socialization that is sadly lacking in most schools. As a result, homeschooled children are more likely to socialize with people of all ages. I remember being struck by this the very first homeschooling event that I attended. I saw the high-school students playing with the elementary kids and actually enjoying themselves. I also had young people introducing themselves to me and engaging in conversation. I have spent time with students of all backgrounds throughout my teaching career, but I almost never see healthy, age-independent socialization except when I am at a homeschooling event. Despite these similarities, there are differences between homeschooling mothers in the U.S. and the homeschooling mothers in this study. For example, none of the mothers mentioned any religious motivations for homeschooling. While the number of mothers in this study is small, I would suspect that if if the same study were done in the U.S., the majority of mothers would have included religion as at least part of their motivation for homeschooling. Also, while it might have been an artifact of the study, there was no mention of academic achievement. The mothers mentioned many benefits of homeschooling, but academic achievement was not among them. Once again, had this study been done in the U.S., I would suspect that academic achievement would have been mentioned by several mothers. In the end, it seems that homeschoolers around the world have some differences among them, but those differences pale in comparison to the things that they have in common. I hope more research like this is done, because the more we learn about homeschooling, the more we see its benefits worldwide! An apex predator is defined as a predator with no natural predators. People, lions, killer whales, and bears are typical examples. Now we can add one more to the list: wind turbines. Research indicates that in the U.S. alone, wind turbines are responsible for killing more than half a million birds every year. More than 80,000 of those birds are raptors, the former apex predators of the air. While China and the U.S. lead the world in the amount of power generated by wind farms, India is not too far behind. As a result, a group of researchers from the Indian Institute of Science decided to study the ecological impacts of wind turbines. They analyzed turbines that have been installed in an Indian Mountain Range called the Western Ghats. Some of those wind turbines are pictured above. Specifically, they wanted to see if the predatory nature of wind turbines had other effects on the local ecosystem. Not surprisingly, it did. First, they found that predator birds were four times less likely to be in the areas where wind turbines are installed compared to areas where they are not installed. That’s not surprising. Animals tend to avoid areas where they are preyed upon. Of course, the opposite is true as well. Animals tend to flock to places where they will not be preyed upon. As a result, the population of fan-throated lizards (a favorite meal of predator birds in the area) is significantly higher around wind turbines. Interestingly enough, the effect of wind turbines was not limited to populations. The lizards’ behavior changed as well. Apparently, life is so carefree for the lizards living near the wind turbines that they have lost some of their fear of predators in general. The researchers tried to simulate predator attacks and found that they could get significantly closer to lizards that live near the wind turbines than they could get to lizards living where there are no wind turbines. Based on subsequent blood tests, the researchers concluded that lizards living near wind turbines have significantly less corticosterone (a stress hormone) in their blood. I predict that as more research is done, we will see many more unexpected ecological effects from wind farms. The acid test of a scientific theory is whether or not it can make testable predictions about things that are not known. If it can’t, it isn’t really a scientific theory. If it can, those predictions should be tested by observation or experiment. If the results of the test confirm the predictions, you can have more faith in the theory. If they do not, you must either alter your theory or abandon it. One of the main reasons I am a creationist is that creationism has made many testable predictions, and many of those predictions have been confirmed. In fact, creationism has a much better track record when it comes to confirmed predictions than does evolution (see here and here). Recently, I ran across another study that demonstrates another failed prediction of evolutionary theory. It studied the alcohol dehydrogenase protein (ADH) as made by fruit flies. Fruit flies often consume alcohol because they feed on rotting materials, and the ADH they make allows them to do that. How do they make ADH? They have a gene that gives the necessary instructions to the cell. That gene is, in effect, a “recipe” for ADH. Studies have already shown that the common fruit fly (Drosophila melanogaster) tends to feed on alcohol-rich things (like rotting fruit) more than a similar fruit fly, Drosophila simulans. The evolutionary explanation that has always been given for this fact is that these two fruit flies had a common ancestor, and that ancestor had a gene that made less efficient ADH. As a result, the common ancestor didn’t eat alcohol-rich things. 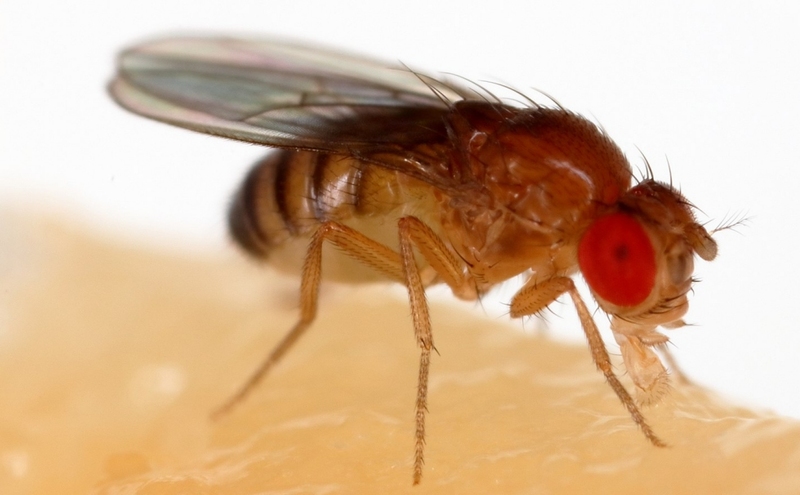 The evolutionary line that led to the common fruit fly experienced mutations in the ADH gene, and those mutations ended up making the ADH more efficient. Natural selection then caused those fruit flies to survive, because they could now survive by eating a lot of rotting fruit, while the other flies could eat only a little rotting fruit. That process continued over time, eventually leading to the common fruit fly we see today, which eats a lot of rotting fruit. In evolutionary biology lingo, we would say that the common fruit fly underwent “positive selection” in its ADH gene, while the other fruit fly did not. 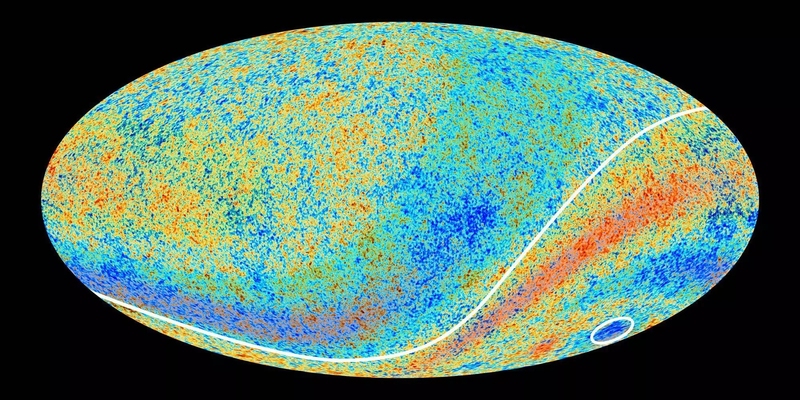 The student was aware that most observations have never supported the cosmological principle, but he brought up the Cosmic Microwave Background (CMB), which he seemed to think supports it. I countered by mentioning the “Axis of Evil,” and he seemed to think I was joking. I was surprised that he didn’t get the reference, so I explained it to him. He was shocked that he hadn’t heard of it before, so he suggested that I write a blog post about it. To understand the “Axis of Evil,” you first have to understand the CMB. When astrophysicists were working on the Big Bang model of the universe, which essentially says that the universe “exploded” into being from nothing, they realized that such an “explosion” would leave behind a signature: microwaves that appear from everywhere in the universe. The predicted details of these microwaves varied from paper to paper, but regardless of the details, everyone agreed that if the Big Bang happened, there should be a “background” of microwaves found everywhere in the universe. That’s what became known as the CMB. Over the past few years, I have written about problems with the data related to global temperature measurements (see here and here). It is very difficult to get a handle on how the planet’s temperature has changed over the past century or so, because the only long-term data we have come from thermometers that are placed at various spots throughout the world. 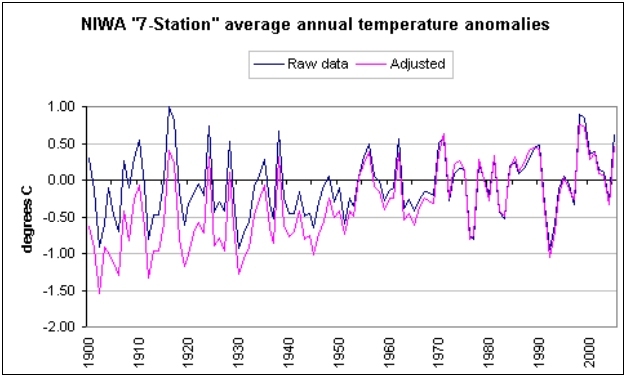 Since 1979, we have much more accurate global temperature data, which come from satellite measurements. However, those satellite measurements are not consistent with the thermometer measurements. This is an important issue, because climate models (which make projections about future temperatures based on different emission scenarios) are “calibrated” against the known temperature data in an effort to make them more realistic. Since the satellite data have only been collected since 1979, they are rarely used. Instead, the longer temperature record (based on thermometers) is generally preferred. The two commonly-used thermometer records are GISS TEMP (maintained by NASA) and HadCrut4 (maintained by the University of East Anglia and the UK Met Office). Those two data sets are in good agreement with one another, but once again they do not agree with the satellite data. Are these thermometer data reliable? Based on the PhD thesis of John D. McLean at James Cook University, the answer is “no.” He did what he claims is the first audit of the reliability of the Hadcrut4 data, and he has found 25 areas of concern. I will discuss only three. First, he finds many instances of anomalous data. One station in Colombia, for example, reports that the 1978 average monthly temperatures in April, June, and July were 81.5 oC, 83.4 oC, and 83.4 oC. In case you aren’t familiar with the Celsius temperature scale, that’s about 180 oF. Given that the highest temperature ever recorded on earth was 134 oF, it’s safe to say that the report from Colombia is simply wrong. He lists many other examples of anomalous data that cannot possibly be correct. More than five years ago, I wrote about a study that indicates wind turbines aren’t as “green” as many think. Indeed, it has been estimated that they are responsible for slaughtering more than half a million birds and nearly a million bats each year in the U.S. alone. A new study indicates another unforeseen consequence of wind farms: they actually warm their local area, which ends up warming the planet, at least a bit. This isn’t a new suggestion. In fact, this recent study is partly a follow-up of a study that was published 14 years ago. In that study, the authors used a fairly simple physical model to indicate that by changing the way air is mixed near the surface of the earth, wind farms increase the temperature in their local area and, in turn, the entire planet. This new study uses a more sophisticated mathematical model, but it also compares the model’s results to warming that has actually been observed and measured near wind farms. The authors show that their model reproduces the observed warming fairly well, so they use that model to make some estimates. They estimate that if all of the United States’ electrical needs are met with wind power, the wind farms would warm the continental U.S. by 0.24 degrees Celsius. The authors are quick to point out that this is much less than the warming that is supposed to occur as a result of the carbon dioxide produced by coal and gas power. However, it is clearly more than was expected and is at least ten times larger than any warming expected to be produced by meeting the needs of the country with solar power. Of course, all of these models are far from realistic, because we are ignorant about so much when it comes to the earth’s climate and how various factors affect it. As a result, I take all of these numbers with a grain of salt. The actual fact is that we don’t know the warming that will occur as a result of any energy production source, including coal and gas. However, just as the science behind carbon dioxide trapping heat in the atmosphere is solid, the science behind this paper is solid. The authors demonstrate quite clearly that based on well-known physics, wind farms do warm their local area, and the observational studies they reference and use in their analysis confirm that this warming does, indeed, happen. So what’s the bottom line? The most important one is the one I brought up in my five-year-old post about wind farms. The environmental effects of energy production aren’t as simple as people make them out to be. Every means of energy production will affect our planet in some way, and unfortunately, in the effort to produce “green” energy, this fact has been overlooked. If we are really interested in caring for our planet, we should not buy into a certain means of energy production (or a certain means of transportation) just because someone has decided it is “green.” Otherwise, we might be replacing a bad system with a worse one! 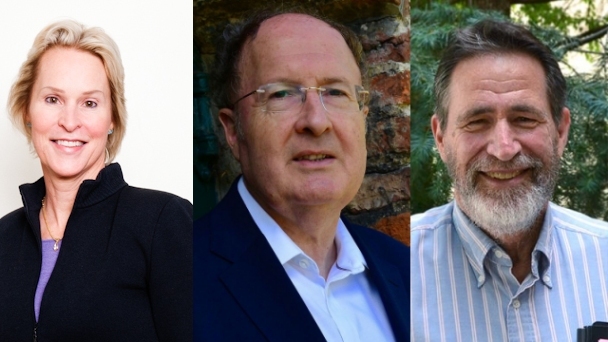 Yesterday, the Royal Swedish Academy of Sciences announced that the Nobel Prize in chemistry will be shared among three scientists who all used directed evolution to engineer proteins that solve problems. A reader who saw a news story about the announcement asked me to explain what “directed evolution” means, and I am happy to oblige. In directed evolution, scientists use the concepts of variation and selection to take a molecule that already exists in nature and adapt it to do something that they want it to do. Using a concrete example that comes from the research of Dr. Frances Arnold (one of the recipients) is probably the best way to explain the process. Dr. Arnold’s lab started with a naturally-occurring enzyme charmingly named P450 BM3. Enzymes speed up specific chemical reactions, and P450 BM3 speeds up the reaction in which an oxygen atom is inserted between a carbon atom and a hydrogen atom in a fatty acid molecule. This is an important step in the process by which a living organism breaks down fatty acid molecules. Dr. Arnold’s lab was interested in doing the same kind of reaction, but on a different type of organic molecule: a small alkane. The enzyme P450 BM3 couldn’t initially do that. However, it could weakly speed up that reaction on large alkanes. Since the enzyme could at least do that, Dr. Arnold thought that she could “tweak” it until it did exactly what she wanted it to do. However, enzymes are absurdly complicated molecules, and human science isn’t very good at making or understanding them. So she decided to let better organic chemists (bacteria) do the heavy lifting. Her lab took the gene that tells bacteria how to make P450 BM3 and subjected it to mutations. They then saw whether or not the resulting enzyme made by bacteria was any closer to being able to do what they wanted it to do. Maybe it did a better job speeding up the reaction on a large alkane, or maybe it was able to speed up the reaction on a shorter alkane. If that was the case, they saved that gene and allowed it to mutate more, seeing if any more progress could be made. If not, they threw it away and tried again. This is why the process is called “directed evolution.” Dr. Arnold’s lab induced mutations (which are a source of genetic change in organisms) and then selected any enzyme that ended up being better at what they wanted it to do. With enough of those steps, they were able to get what they wanted: an enzyme that inserted an oxygen atom between a carbon atom and a hydrogen atom in a small alkane. In the end, the process had changed just over 2% of the molecule, but that was enough to change it from an enzyme that acted on fatty acids to one that acted on small alkanes.